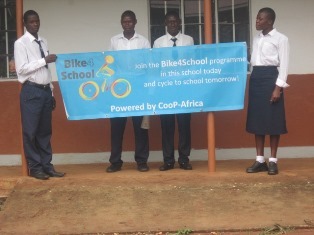 At St. Paul Secondary School in Uganda, students and teachers are signing up for the Bike4School programme. Currently, mostly teachers have applied. The school is far from town and teachers are covering long distances to reach school, mostly on foot. Go to the project page for more information about this Bike4School programme in Uganda. Click here to donate a bike to a student in Uganda. No Comments to "Bike4School at new school in Uganda"